Support for Risen Star Stakes runner-up Country House and tributes to the late Grade 1 winner Battle of Midway stood out during a week that featured little change in both the National Thoroughbred Racing Association (NTRA) Top 3-Year-Old Poll and Top Thoroughbred Poll. Country House, trained by Hall of Famer Bill Mott, enters the 3-year-old ranks in the tenth position with a total of 57 points. 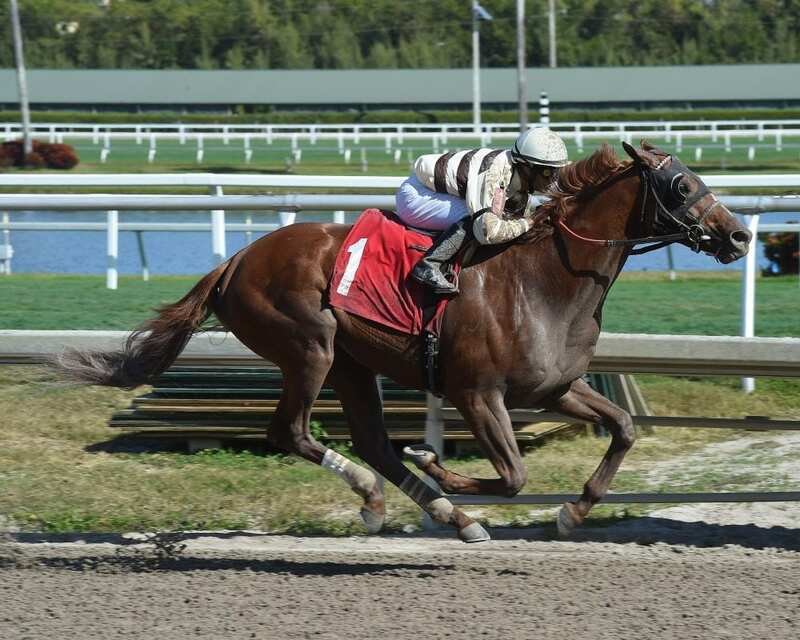 The son of Lookin At Lucky broke his maiden in impressive fashion at Gulfstream Park January 17 and went on to finish second to War of Will in the Grade 2 Risen Star on February 16 despite showing his inexperience down the lane. With no major Kentucky Derby prep races taking place this past weekend, the status quo reigned in the top nine slots. Champion Game Winner earned 31 first-place votes and 394 points to retain his place atop the leaderboard followed by War of Will (6 first-place votes, 341 points) and Improbable (4 first-place votes, 337 points). Mucho Gusto (225 points) is fourth with Instagrand (154 points) fifth. Rounding out the top 10 are: Hidden Scroll (149 points), Signalman (123), Gunmetal Gray (80), Tax (70), and the aforementioned Country House. California Cup Derby winner Galilean remains outside the top 10 with 17 points but did receive a single first-place vote. Although he dropped a position in the Top Thoroughbred Poll – falling from fourth to fifth – Battle of Midway earned 8 first-place votes and 197 points as voters gave a nod to the 2017 Breeders' Cup Dirt Mile winner in the wake of his catastrophic injuries suffered this past weekend. Trained by Jerry Hollendorfer, Battle of Midway had won three of his last four starts, including a half-length victory over fellow grade 1 winner McKinzie in the Grade 2 San Pasqual Stakes on February 2. City of Light, winner of the 2018 Breeders' Cup Dirt Mile and this year's $9 million Pegasus World Cup Invitational, remains atop the poll with 26 first-place votes and 312 points. Monomoy Girl, the champion 3-year-old filly of 2018, is second after garnering seven first-place votes and 310 points with fellow Eclipse Award-winner Roy H (295 points) third. Pegasus World Cup Turf Invitational winner Bricks and Mortar (1 first-place vote, 237 points) is fourth, ahead of Battle of Midway. McKinzie (171 points) is sixth followed by Seeking the Soul (139), Accelerate (121), Sistercharlie (109), and Marley's Freedom (66). This entry was posted in NL List, Triple Crown and tagged battle of midway, bill mott, country house, game winner, improbable, NTRA, Risen Star, Risen Star Stakes, top 3-year-old poll, top thoroughbred poll, war of will by NTRA. Bookmark the permalink.